We live in a perpetual server-side microscopic interface change whirlwind. One day you get used to a new interface, the next another one starts popping up, improving some things, worsening others, and generally making our lives a little miserable in the process. But I can't complain, it's part of the reason I have a job, isn't it? 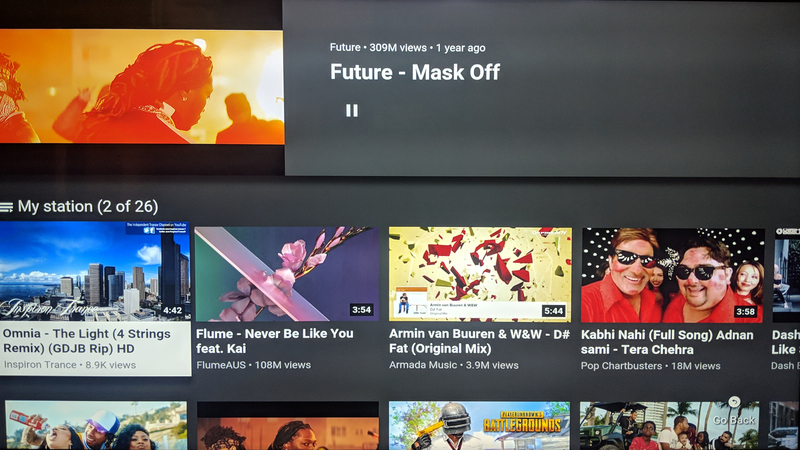 The latest new UI we've spotted affects YouTube on Android TV, and it's not all good news. 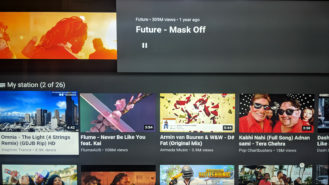 A couple of weeks ago, we got a tip about a new Now Playing UI in YouTube for Android TV, but we couldn't replicate it. Now, it appears the interface has started rolling to more users as we've received another tip and were able to verify it on our own. The new UI moves the title of the video to above the progress bar and makes it bolder. The channel, view count, and relative date of publishing are above it. The More options text is gone, but the button is still there; it looks like an overflow now. Next to it are two new icons, one for the channel and another to enable or disable captions. 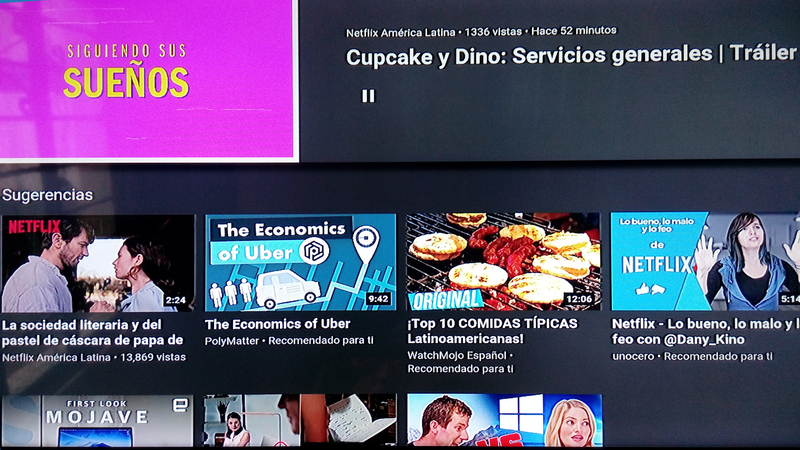 I'm quite happy to see captions more easily accessible, as it was very annoying to go into the options menu to turn them on for every Spanish video I've watched recently. To the right, a new thumbnail shows the following video and you can quickly jump to it if you so wish. That's all neat and good, until you notice what's missing. There's only one (now rounded) play/pause button. The skipping functionality is gone, so you'll have to use your remote's buttons or go up to the progress bar and move the playback position around. 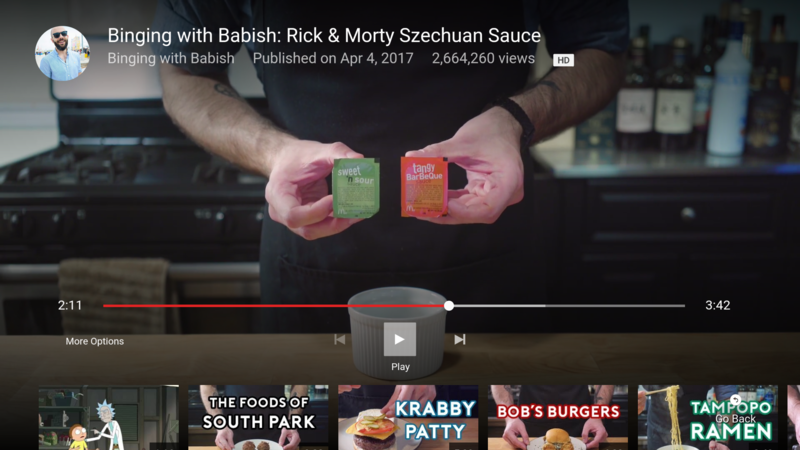 Even more annoying, the suggested videos at the bottom are no longer there. Left: Existing interface. Right: New interface. If you go back while the video is playing, it'll minimize to the top of the screen and continue, while showing suggested videos below it. Going back again closes the video and brings you to where you were in the app. The behavior is akin to the YouTube app on Android. 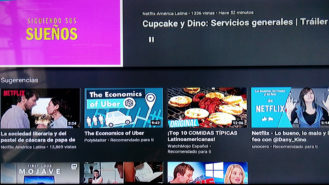 Minimized ongoing video with suggested videos or playlists below it. Another difference to note is that when a video is done, the thumbnail for the next one at the bottom right will show a small progress bar in blue, then expand and start playing. Of course, that's only if autoplay is enabled. Left: New interface's "More options." Right: Countdown until the next video. The new interface doesn't seem to be linked with a version update, but it doesn't hurt to grab the latest v2.03.06 from APK Mirror to check if you see it there. But in this case, it might be a server-side change you shouldn't be too eager to get.